-Breathing Becomes Easier from This Week Onwards! When you are 34 weeks pregnant, the baby in your womb becomes stronger in order to face the challenges of a new and not so protected world. You will become heavier and you will also notice that the baby is disturbed by the ultrasound lights and even by your heartburn. As your weight is growing, so is the weight of the baby. Your little one is not exactly little anymore and it becomes more and more prepared to meet the outside world. Your baby these days is busy in depositing the fat to offer fullness to the body. This week involves some changes in you and your developing unborn baby. The big change that you observe during the 34th week of pregnancy is the notable weight shift. By this time your baby is situated in your pelvis; so that you will find yourself walking as carrying a watermelon between your legs. The pregnancy diet will need to be slightly changed during this week. You will have to break your food intake in 6-7 snacks a day to prevent heartburn. Your navel may become increasingly sensitive during this week; so if the sensation is bothering, make sure you protect it. From this week onwards, breathing will become little bit easy because your lungs are not compressed. But with this position, you will continue to suffer from frequent urination. You will observe some itchy red bumps on your belly when you are 34 weeks pregnant. If you feel itchy all over the body, then call your care provider because this can be a liver problem. During your next prenatal visit, ask your physician to conduct the Group B Streptococci test. This is a common bacteria screening. Though you may have strong immune system, your little baby is very much susceptible to health conditions like pneumonia, blood infection and meningitis; so the screening is essential in pregnancy week 34. If you are first time pregnant, then at this moment you tend to think very much about labor and delivery. You will get lot of questions in your mind like will you give birth safely? Will the pain be moderate or more than you can bear? How long will the labor period drag on for? And so on. Studies suggest that the duration of the labor and the pain are very much related to the level of maternal anxiety regarding the process of giving birth. Experiencing the physical stress can be translated into the uterine muscle tension that can lead to the contractions being more painful. Anxiety and stress cause the production of catecholamines in your blood. This substance decreases the release of oxytocin; so the labor cannot proceed as rapidly as it might otherwise. In this week, the purpose of prenatal training and pregnancy yoga is to help you relax and have a smooth birth. It is recommended to continue the exercises planned for this week because muscle training will help a great deal in the baby’s delivery. During 34 weeks pregnancy, hip pain is a constant problem. The production of increased levels of hormones during pregnancy makes the connective tissues in your body to soften and loosen up. Joints present in between the bone of your pelvis become more relaxed and cause the hip pain. Many women experience 34 weeks pregnant symptoms like prone to fall and lose balance due to the instability of their joints. This is why you need to be careful when going out or doing housework. You will feel that even standing for few minutes is very uncomfortable and tiring. A careful checkup of the cervix is very important at this time. By this week, your 34 week fetus is about the size of 19.8 inches long and weighs up to 5 pounds. Your baby is trying to completely act as a newborn now. The baby’s hair continues to grow and the fingernails and toe nails are completely developed. When you are in week 34 pregnancy you baby even starts to blink its eyes. This week, the baby will move into your pelvis. With the weight shift, your baby is most likely out of the breech position. 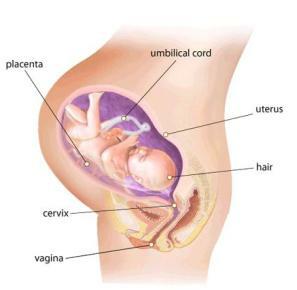 With the 34 weeks pregnant ultrasound, you can see the baby’s head on your pelvic bone. Also, you will feel the baby’s kicks in your diaphragm. Your baby’s liver is now capable of processing certain amount of waste. The ‘vernix’ coating on your baby’s skin will become thicker and ‘lanugo’ hair will be completely gone by this week. Antibodies from your own blood start to being transferred to your baby. Your baby has immunity to fight against mild infections now. The baby’s lungs are completely developed and they produce a substance called ‘surfactant’ that helps the exchange of oxygen in the lungs. The baby exercises breathing amniotic fluid and his or her lungs prepare for oxygen processing through the increased surfactant secretion. If you give birth now, your baby will not be in any danger but it will need to be monitored a few days inside a medical facility. Try for a visualization technique. During the last 3 weeks of pregnancy, visualize yourself giving birth to your baby. Imagine that your baby is in the perfect position for the safe birth. Feel that your baby is moving through the birth canal easily with each contraction. Try for a massage with the help of your partner. Massage will greatly help you alleviate stress and perception of pain during labor. A form of patterned breathing or abdominal breathing is very important and it can be very relaxing as well. Try to perform progressive relaxation. Consider meditation and remember that the psychological communication with your baby is very active during the last weeks of pregnancy. Find out what to expect when you are 35 weeks pregnant. 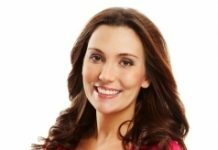 Previous articleHow To Deal With Overdue Pregnancy? i am feeling itchiness all over body is this effected to my baby?